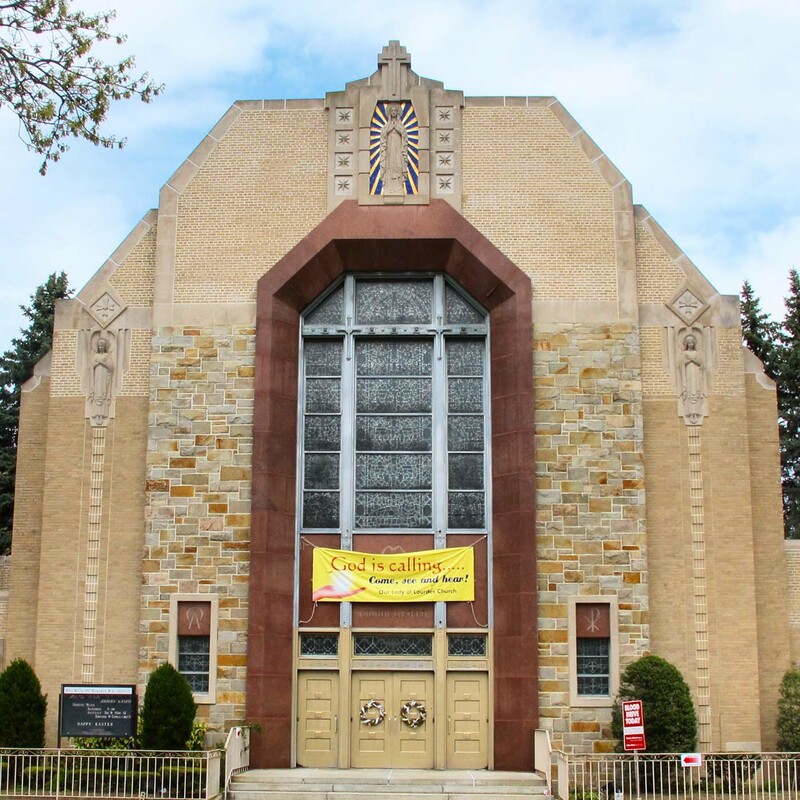 An architect whose career lasted from the 1930s to the 1960s, Joseph Mathieu (1885-1969) specialized in church architecture and was part of a group of practitioners who were responsible for the overwhelming majority of Catholic ecclesiastical buildings in Queens. His body of work is less substantive than some of his peers such as William Boegel, but he also was responsible for training John O’Malley, who went on to become a much more prolific church architect in his own right. Born in Baltimore and educated at Maryland Institute, he was a noted tenor singer early in his life and toured extensively. His early career included a stint at the Department of Treasury in Washington, DC . 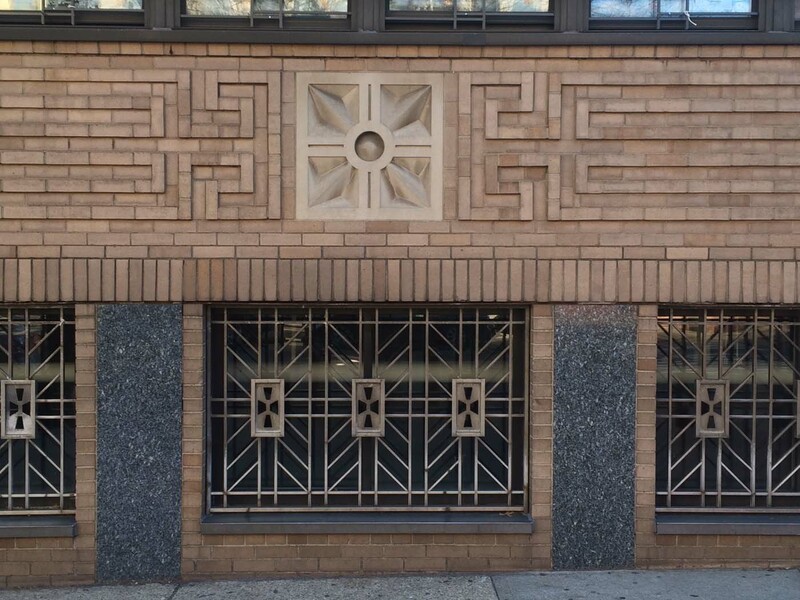 Upon moving to New York City in 1912 he held brief positions at noted firms including Warren & Wetmore and Starrett & Van Vleck, until opening his own firm in 1920 with Hans C. Meyer concentrating on ecclesiastical design . In 1944 he went into solo practice, remaining a firm solely focused on architecture for the Catholic church. 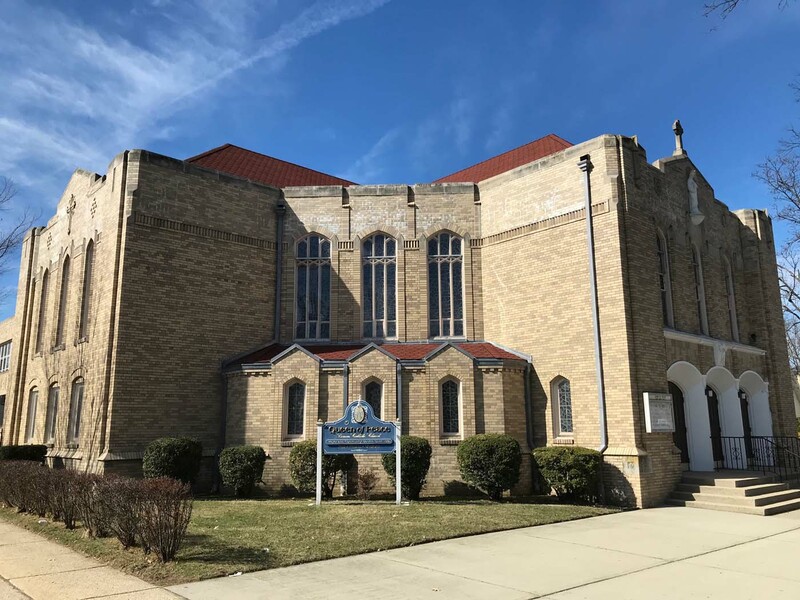 Some of Mathieu’s more significant commissions include Our Lady of Mercy School and Convent (1937) in Flushing; St. Camillus Catholic School (1949) in Far Rockaway, which he designed with John O’Malley; and St. Joseph’s Villa, Convent, and Novitiate (1961) in Rockville Center . He received Queens Chamber of Commerce Building Awards for St. John’s Chapel Cemetery (1952) and Our Lady of Lourdes Church (1956). 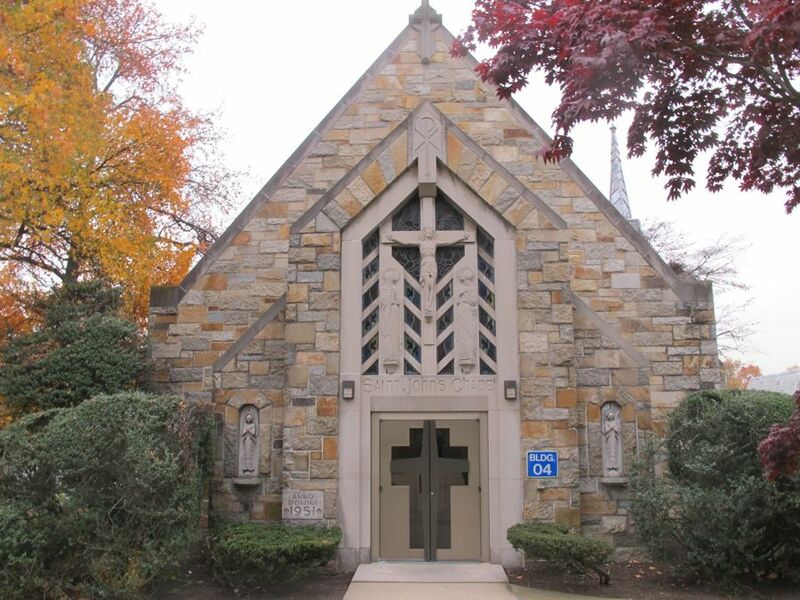 Both structures use modern construction but only Our Lady of Lourdes is distinctly modern, while the cemetery chapel could be considered transitional Gothic. Most likely both designs were assisted by John O’Malley. Active in the larger New York City architectural community, he served on the 1939 “Mayor’s List” jury which selected the 75 firms eligible to receive municipal commissions each year; he was president of the Brooklyn Chapter of the American Institute of Architects (AIA) from 1941-42. He was deeply involved in historic preservation causes, serving on the AIA’s National Committee on Historic Buildings, as chair of the Brooklyn Chapter’s Committee on Preservation of Historic Buildings, and was closely involved with the restoration of Brooklyn’s Prospect Park Boathouse. American Institute of Architects nomination for fellowship, 16 September 1958, AIA Historical Directory.